The Hollywood star will perform songs from The Greatest Showman during the tour. The Hollywood star will perform songs from The Greatest Showman during the tour - entitled The Man. The Music. The Show. - as well as tunes from Les Miserable and other Broadway classics. 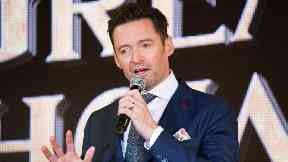 Jackman, who portrayed American showman PT Barnum in the box office smash The Greatest Showman, will bring his tour, which is backed by a live orchestra, to Glasgow's SSE Hydro on May 7 and May 8. He will also now perform in Antwerp in Belgium, another newly-announced date. He will perform in Manchester and Birmingham later in May, before appearing for a five-date residency at London's O2 Arena in June. Jackman's musical credits include his rendition of 1970s singer-songwriter Peter Allen in The Boy From Oz at the Imperial Theatre on Broadway and Les Miserables. Jackman will perform at the Manchester Arena on May 24 and May 25, Birmingham's Resorts World Arena on May 27 and May 28 and the O2 Arena in London from June 2 until June 6. Tickets for the new dates go on sale at 9am on Friday February 8.